This is a fantastic event to attend – this year’s will be my fourth – and it led me to my interest in and commitment to the Traditional Mass through a devotion to St Margaret Clitherow. There is a procession past the Shambles where she lived and to the spot where she was martyred, as well as a wonderful High Mass beforehand and Benediction afterwards. It is feasible to do the trip to York and back in a (longish) day from the Bedford area and we adjourn to one of the many nice eating places in York before making the return journey. HAPPY EASTER! 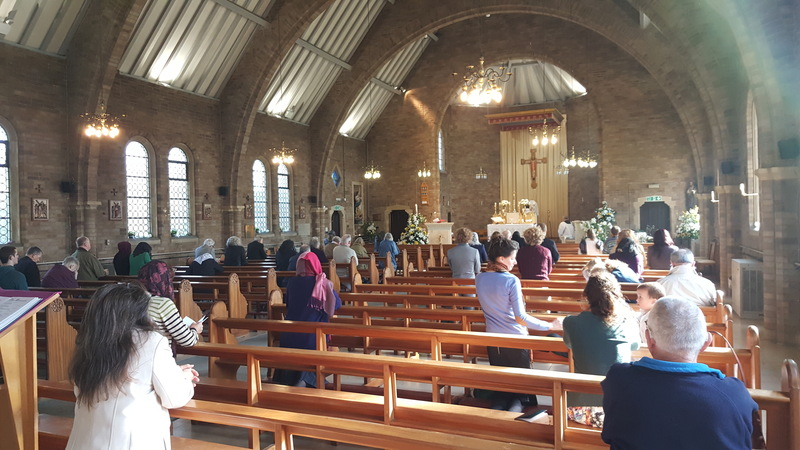 Some photos from Mass are below as well as a very thought provoking article (and book) about the need to set up our own communities. The Tipi Loschi are an inspiration – who knows, perhaps we can have something similar here in Bedford. We don’t have the Adriatic Coast, but we have beautiful countryside, a growing congregation in a welcoming parish and the Traditional Mass! Visitation of the Statue and Relics to the Diocese of Northampton from 30 Sept-1 Oct 2017. The National Pilgrim Virgin Statue of Our Lady of Fatima, and Relics of Blessed Jacinta and Francisco will be travelling around the country, visiting various Cathedrals abbeys and churches this year, 2017, which is the Centenary year of the Fatima message, which was given by the Blessed Virgin between May and October 1917. (The World Apostolate of Fatima is an approved Public Association of the Faithful). Due to unforeseen circumstances, we have had to cancel Tenebrae in Latin on Maundy Thursday 13 April at 6 pm. There will be Tenebrae in English with readings and hymns at 6 pm led by Fr Patrick Hutton preceding the Maundy Thursday liturgy, also in English, at 7.30 pm. We apologise if you were planning to come to the Traditional Form. 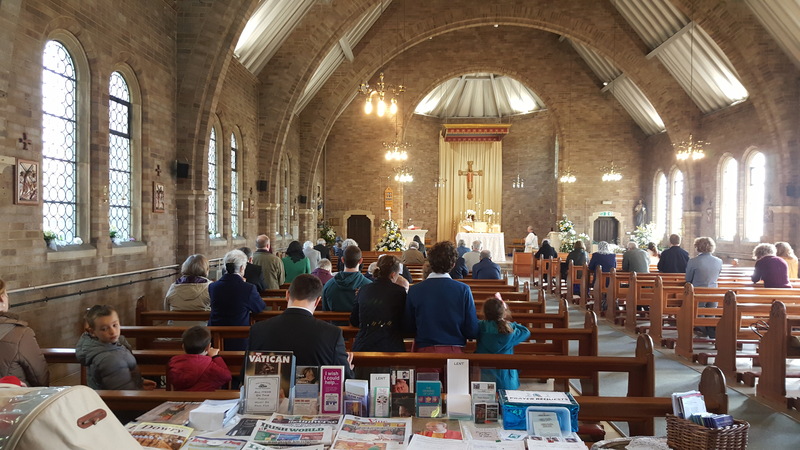 The Good Friday Stations of the Cross in Latin at 12.00 noon is going ahead as scheduled and there will be Latin Mass on Easter Sunday at the usual time of 8.30 am. Fr Thomas Crean OP is the celebrant. We are very fortunate to have Fr. Crean not just for Easter Sunday Mass but also for Tenebrae on Maundy Thursday and Stations of the Cross on Good Friday. Please spread the word and invite people to come along! March for Life – Volunteering Opportunities!